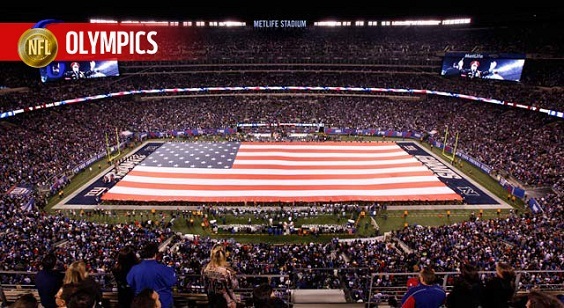 Did you know that American Football has been played at the Summer Olympics before? Granted, it was as a demonstrational sport that took place at the Los Angeles Games in 1932, and not a medaling competition. Back then countries could set up demonstrations of sports that were not scheduled for competitions -- either a national sport of the hosting country, or a sport that was foreign to that country. A hot topic during these 2012 London Games has been whether or not American Football will ever be included for competition in the Olympics. There are many drawbacks to getting this feat accomplished, but it is not entirely out of the realm of possibility. First and foremost, you need to have enough countries able and willing to participate. By rule, the sport must have at least 50 federations and at least one federation must exist on each continent. There are currently 64 American Football federations around the globe, and with the addition of a Nigerian federation in 2011, the requirement is now fulfilled. A major criticism of the grand scheme is that American Football (as if the name didn't give it away) would just be another Olympic sport that the United States would completely dominate. We all know that baseball and softball were recently booted from the Summer Games due to this very idea. The U.S. lost for the first time in international football competition just last month. They were defeated by Canada in the U-19 IFAF World Championship. So could the rest of the world be catching up to the U.S. at their own sport? Doubtful. 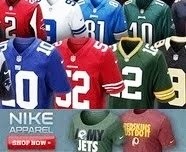 Most of the NFL players are American-born -- 96.5% according to Pro-Football-Reference.com. But the remaining 3.5% represent 30 different countries, of which Germany, Canada, and American Samoa each have 7 players currently playing in the NFL. 6 more countries have 3 or more players represented as well. In fact, a record 5 foreign born players were drafted in this year's NFL Draft. While that may not seem like much, it does go to show that not only are other nations beginning to produce more talent for this sport, but NFL scouts are beginning to take notice that these players are worthy of competing at the highest level. Who's to say that the United States would even create a "Dream Team" comprised of NFL players? NFL training camp takes place at the same time as the Summer Olympics. And with injuries being a big concern for Mr. Goodell and NFL owners, they probably wouldn't want to risk their elite anyway. The solution would be to use college players, maybe even UFL players. Any athlete would love to represent their country and showcase their skills on a global level, which may bode well for aspiring professionals. Despite the fact that the U.S. would probably still be considered the gold-medal favorite, the idea of using non-NFL players may level the playing field a bit. Fitting an American Football program into a a two-week Olympic schedule would present the biggest challenge of all. Being a brutal, full contact sport, it is not ideal to play more than one game in a span of a week. Consequently, each country would only be able to play a maximum of 2 games. That is not very satisfying. In a normal game of football, there are 4 quarters of play, each consisting of 15 minutes. If you can do second grade math, then you'd know that a full game is 60 minutes. Given the desired 2 game maximum, that means you would want your team to play no more than 120 minutes. To somehow stretch a schedule to 3 games in those 2 weeks, there could be 10 minute quarters instead. The competition format would be an 8 team, single elimination, playoff style bracket. Not much football, but hey, something is better than nothing. It seems unlikely that American Football would be admitted into the Summer Olympic Games anytime soon -- if ever. There are numerous obstacles that stand in the way from getting that done. However, anything is possible in this day and age -- and only time will tell if the greatest sport in America will get to see its day on the Olympic stage. I just don't see it happening. The Olympics aren't really long enough to be able to fit a FOOTBALL tournament into them. Two weeks isn't enough time. I don't see them playing multiple games in a week span to get it in there. Agreed. It'd be nice if they could figure something out, but it's highly unlikely. How about a variation of it, say, flag football? Or would that not be worth watching? Not only would it be a time issue, but I don't think any of the TOP NFL players would be willing to do it regardless. No one would want to risk a season ending injury or possibly even jeopardizing their career to participate. Football is WAY different than basketball or baseball. Way easier to get seriously injured. Or if they did play, they would put the same kind of effort into it as they do the Pro Bowl, which is a joke. Yeah I don't think it will happen. I also don't see them doing a flag version either, because that would almost cheapen the feel of the sport itself. That is true. I think it would be interesting to see flag football being played at a high level though. If you think about athletics on a global level, cricket, golf and rugby are played by many, many countries and still aren't involved in Olympic competition. Which makes you think that there's a slightly better chance that hell freezes over before American football enters the games.